Radically Natural Living: Radically Natural Recipe: Super Snack...Grain-Free Popcorn! Radically Natural Recipe: Super Snack...Grain-Free Popcorn! OK, It's not really popcorn without the corn, but we think it's pretty close. I'm talking about crispy kale. It's a fantastic snack and easy to make. 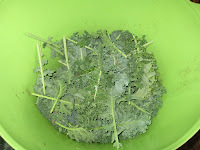 We had an abundance of kale in our summer garden and have been enjoying weekly bowls of crispy kale. For those of us doing GAPS or living grain-free, or allergic to corn, or just avoiding corn (because, frankly, it is getting to be scary stuff), this is a great snack alternative that has crunch and flavor reminiscent to popcorn (my kids think it's better and I agree). Voila! Not complicated, eh? 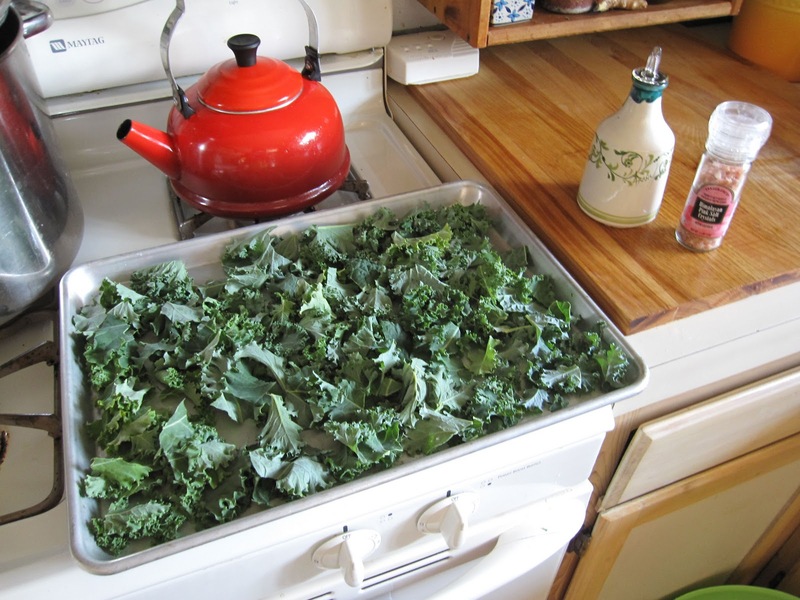 Once you get the hankering for crispy kale, you will undoubtedly want to bake multiple trays...one sheet of this super snack does not last long! Kale has a good reputation for being high in calcium. (I like to call it "cow replacer" for people who cannot access raw, organic, free-range, grass-fed milk, or for those who choose not to drink milk.) But as a member of that glorious cruciferous family of antioxidant-rich veggies, kale also provides some powerhouse anti-cancer properties (primarily from the vegetable's isothiocyanates...derived from cruciferous sulfur-containing compounds). Kale is hard on the digestive system if consumed raw, which is not generally advised. 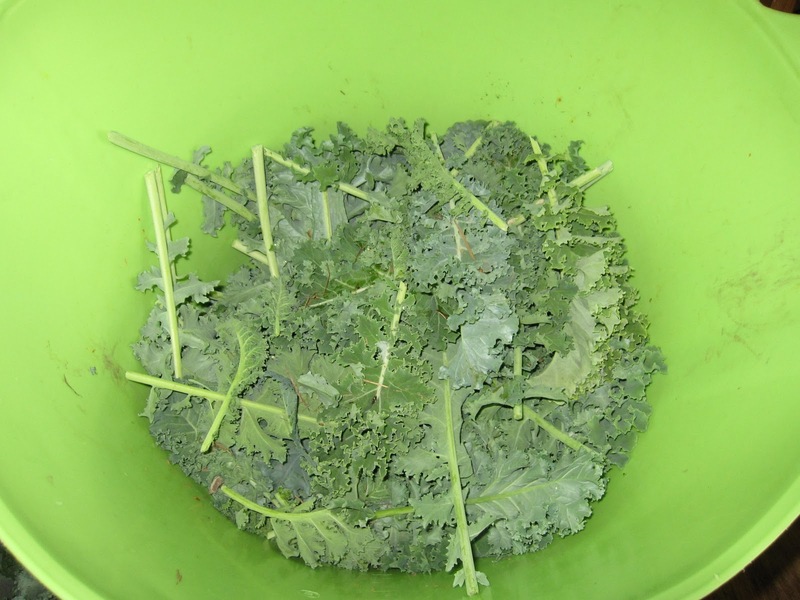 But juicing, steaming and baking unlock kale's nutrients, so give those methods a try! One word: GMO. OK, that's not a word...but you get the point. Hmmm...this is neither the time, nor the place for a RadicallyNatural look at the dangers (physical/mental health and agricultural impacts) of genetically modified corn. Suffice it to say that I am concerned with the possibility that it may be increasingly impossible to find untainted, "good old-fashioned" corn. Because of our monoculture industrial agriculture model, non-GMO, organic, heirloom corn availability is seriously waning. To make matters worse, GMO corn pollen taints non-GMO crops. Corn has become a sticky wicket. You should never, never, never...did I say never ever?...eat genetically modified corn (or any GMOs for that matter). In addition to the cancer risks and other long-term health risks associated with GM crops, some strains of GM corn have been developed as a human contraceptive. I am not kidding...sterilizing corn...non-fertility corn. It should come as no surprise that population-control/technology magnate Bill Gates is part of the project. Truth is stranger than fiction, don't ever forget it. GMOs are not foods, they are weapons. But this is a discourse for another time, perhaps. If you want to discover some sobering and vexing facts about the food politic madness that is GMO corn, please read the linked articles in the graf above and check out the links/books following.